I use the notes app on my phone to keep track of lots of things. Blog post ideas, future dog names, trying to remember recipes I invent on the fly… you get it. I also use notes to keep up a list of “OMG we have to go there” places. 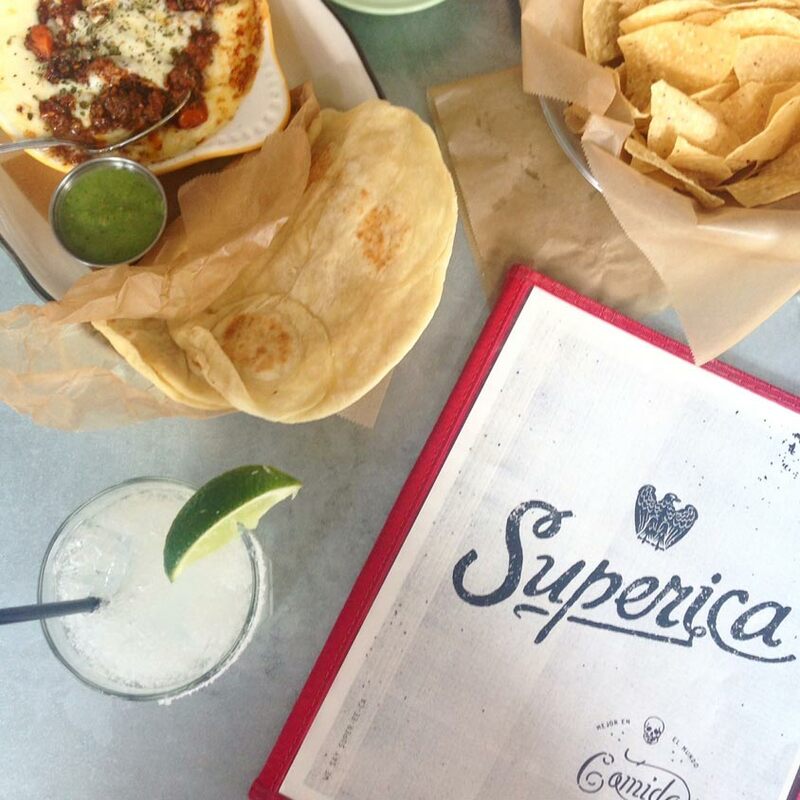 Since Superica opened in February here in Atlanta, it’s been at the top of that list. And this past weekend, I finally made it out there for a drink and late lunch (or was it an early dinner?) with Mr. Williford. It was SO. GOOD. Well worth the wait. The weather was incredible, so we sat out at a communal table on the patio. The ambiance there at the Krog Street Market is infectious (after “linner,” we walked around the market and grabbed some pints at Hop City). I love the industrial architecture, left over from when this block housed the factory for Atlanta Stove Works. 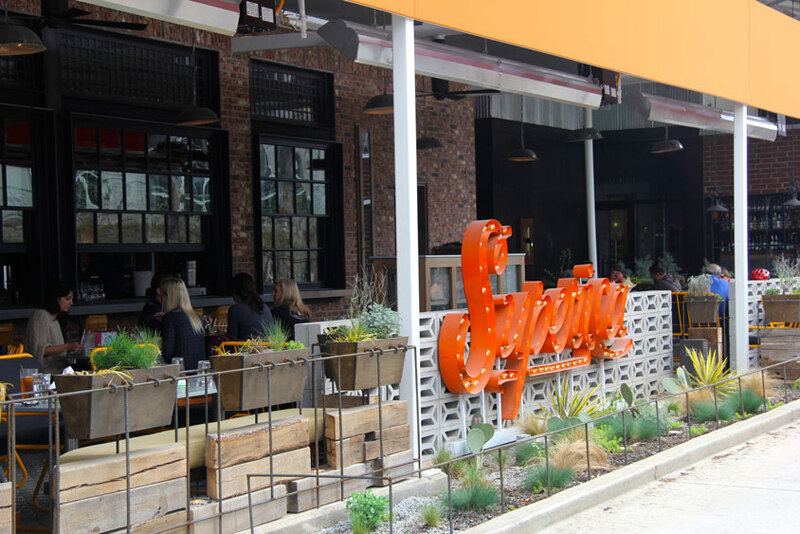 The decor on the patio and inside Superica is totally Southern California to me—clearly spanish- and mexican-inspired, but with a little nod to the desert. I could have sat there all day. 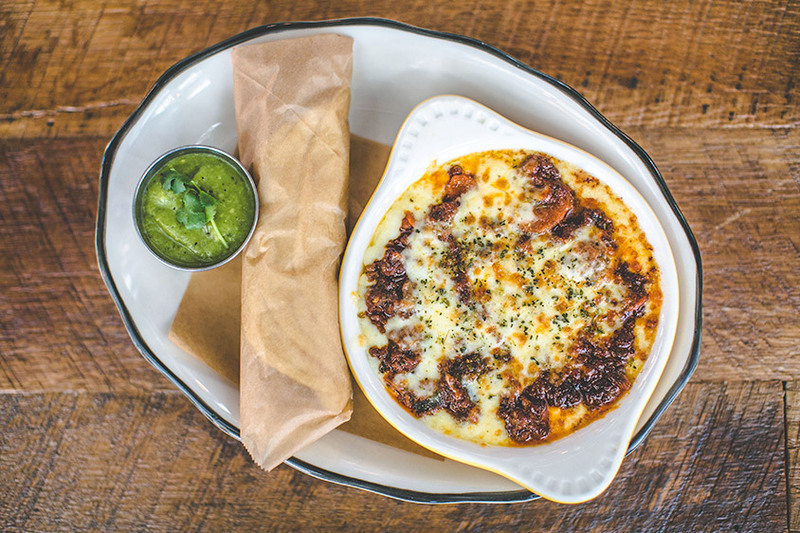 We started off with some chorizo queso fundido, which was pretty good. There were carrots in it, which we both thought was strange, but it was a pretty solid fundido. Then I had the Tacos de Carnitas: crispy and seriously flavorful pork belly served in a seriously fluffy house-made tortilla, topped with a seriously tasty hot & sweet guava glaze. It was killer, you guys. Seriously. I also had a Margarita De La Casa (it does found fancier than “house marg,” doesn’t it? ), which was served on the rocks with a bit of salt, but came to the table with a refreshing bit of slushiness about it. 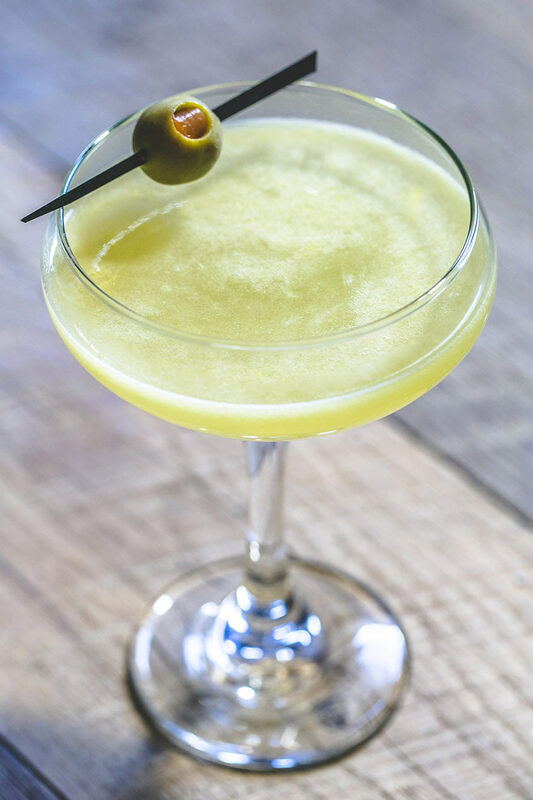 Not frozen, just a perfect bit slushy on top—which is absolutely how I want every margarita to be, forever. I can’t wait to go back and try everything on the menu. And by “try everything,” I mean, of course, that I’ll get the same delicious thing over and over every time (you do it too, yeah?). If you live in Atlanta, go to Superica tonight. If you don’t live in Atlanta, get on a plane and go to Superica tomorrow. This place looks amazing!!!!! I want to swim in that fundido. It WAS amazing, dude. I have craved those tacos every day since. I’m Taryn Williford. I write about cleaning and living life well as the Lifestyle Editor at Apartment Therapy. You might also know me from the Pickle Factory Loft on Instagram. Other obsessions include: skincare, koozies, plants and boy bands.